It’s an old saying. When can’t confronted with a threat, we instinctively look to protect what is most vital to us. Sometimes that is ourselves. Author adminPosted on August 31, 2018 August 31, 2018 Leave a comment on Looking out for number one. In spite of those that contend otherwise, the eBook is the way print publishing is going. The advantages of eBooks far outweigh their printed predecessors in a number of ways. For example, cost. Printing books is already expensive and is only going to go up and up. Such are the costs to print a book on paper and then ship it. No such costs for eBooks. Search. You can’t search a printed book, but you can an eBook. From a scholar’s point of view, the eBook is the obvious choice. Group participation. Again, the eBook has it all over print. The ability to engage an infinite amount of participants in dialog over a particular passage or sentence is already being used by teachers. Author adminPosted on August 28, 2018 Leave a comment on eBooks are the future. Never say anything unless you have to. Harry, never say anything unless you have to. Author adminPosted on August 27, 2018 August 30, 2018 Leave a comment on Never say anything unless you have to. Time to dry out, again. Been drinking too much beer lately, two to three pints a day and putting back on the pounds which I just got off! Time for a break. Author adminPosted on August 25, 2018 August 25, 2018 Leave a comment on Time to dry out, again. 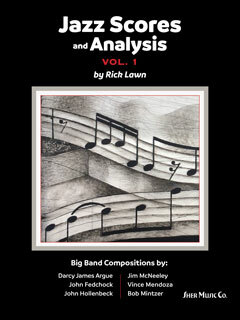 Following in the footsteps of Rayburn Wright’s seminal work, Inside the Score, this book gives a guided tour into the techniques and musical concepts in these six scores by masters of large ensemble jazz writing. If you didn’t set up bounce rules in phpList, you can still find most of the email addresses of the bounced emails by exporting the mailbox of the bounce folder and then opening it up in TextWrangler. Mostly plate. The art of California cuisine. I had a restaurant gig in the early 1980s just when California cuisine was beginning to take off. We got dinners as part of our pay, and it was very good food. However, it seemed it was more about the presentation of the food, than it was about quantity. In other words, it was mostly plate. A baby carrot here, some sauce there, all nicely displayed but when you looked at what you were getting, it was mostly plate. Author adminPosted on August 14, 2018 August 14, 2018 Leave a comment on Mostly plate. The art of California cuisine.